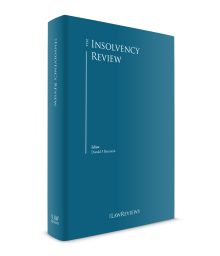 This is the fifth edition of The Insolvency Review. Once again this volume offers an in-depth review of market conditions and insolvency case developments in key countries around the world. A debt of gratitude is owed to the outstanding professionals in geographically diverse locales who have contributed to this book, many of whom participated with their colleagues in this year’s meetings of Insol International (in Sydney) and the International Insolvency Institute (in London). Their contributions reflect diverse viewpoints and approaches, which in turn reflect the diversity of their respective national commercial cultures and laws. Importantly, their views also reflect the slow but steady convergence of those cultures and laws over the last 30 years that promises to continue well into the future. The preface to this fifth edition affords the opportunity to highlight recent positive developments in cross-border insolvency, many of which highlight this convergence. For example, in March of this year, the parliament of Singapore enacted sweeping reforms to the country’s corporate insolvency laws that are intended to transform Singapore into a regional insolvency hub for cross-border reorganisations.1 The drafters of the new regime incorporated a number of core features similar to those of US chapter 11, including a worldwide automatic stay, super-priority rescue financing, ‘cram-down’ provisions that allow schemes of arrangement to be approved notwithstanding that a class of creditors has not approved the scheme, and provisions for pre-packaged restructurings.2 In addition, Singapore became the most recent nation to enact legislation based on the UNCITRAL Model Law on Cross-Border Insolvency (the Model Law).3 Singapore’s statutory framework and substantive law is the subject of Chapter 21 of this volume. On 22 November 2016, the European Commission published a Proposal for a Directive on preventive restructuring frameworks, second chance and measures to increase the efficiency of restructuring, insolvency and discharge procedures and amending Directive 2012/30/EU (the Proposed Pre-Insolvency Directive) aimed at, among other things, instituting restructuring frameworks across Member States and harmonising key aspects of European restructuring law.5 The Proposed Pre-Insolvency Directive is not a model law. Rather, Title II of the Proposed Pre-Insolvency Directive delineates a set of common, core elements and minimum standards for preventive restructuring procedures that would enable debtors in financial difficulty to avoid insolvency and liquidation.6 These elements include leaving the debtor in possession of its assets and affairs in most instances, imposition of an automatic stay of individual enforcement actions, provision of minimum mandatory information to creditors, separate class voting on restructuring plans by differently situated creditors, cramdown and cram-up provisions where a plan is not supported by all classes of creditors, rules and standards regarding valuation methodologies, minimum protections for new financing necessary to implement a restructuring plan, and obligations for the Member States to impose specific duties on directors in the vicinity of insolvency that would incentivise them to pursue early restructuring when the business is viable. If the Proposed Pre-Insolvency Directive is adopted, Member States would have two years to adopt laws, regulations and administrative provisions necessary to comply with the provisions outlined above. Not every encouraging initiative has been legislative in nature. Even though many countries have adopted legal regimes based on the UNCITRAL Model Law on Cross-Border Insolvency and have enacted other legislation aimed at international cooperation, cross-border coordination is often quite difficult given international differences in procedural and substantive law. Many judges have found it useful to employ protocols for court-to-court cooperation in particular cases. These protocols have helped judges and parties in interest coordinate complex restructurings of multinational corporations while adhering to their respective ethical obligations. In October 2016, judges from certain key commercial jurisdictions – New York, Delaware, England, Canada (Ontario), the British Virgin Islands, the Cayman Islands, Singapore, Australia, and Hong Kong (as an observer) – gathered to draft a new protocol, the Guidelines for Communication and Cooperation Between Courts in Cross-Border Insolvency Matters (the Guidelines),7 with the intention that each judge’s court would consider the new protocol as a standard for future cases. The Guidelines have been formally adopted in a several of these jurisdictions, and it is hoped that more countries will adopt the Guidelines moving forward. The Guidelines are based on a set of guidelines published by the American Law Institute and the International Insolvency Institute in 2004, yet differ in several important ways. Most notably, the Guidelines are more explicit in allowing ex parte communications between judges. The Guidelines also offer flexibility to judges presiding over joint hearings, especially with respect to the offering of evidence, cross-appearances by counsel, and post-hearing discussions, and offer flexibility as to how a court should communicate with foreign insolvency administrators.8 Significant adoption of the Guidelines should allow more judges to coordinate procedures, hold hearings, and even decide cases together. The resulting increased coordination among courts could boost the efficiency of administering cross-border cases and reach better and speedier outcomes for debtors and creditors. It remains to be seen how these statutes and guidelines will be implemented in practice. For example, while the Singapore law contains an ‘absolute priority rule’ concept, it lacks a provision that would allow for share capital to be transferred (or extinguished and reissued) to creditors or other parties without the approval of shareholders.9 Accordingly, shareholders appear to possess an effective veto over any restructuring plan under which creditors would receive either existing shares in the debtor from existing shareholders or new shares in the debtor in exchange for extinguishing existing debt claims. The Singapore Ministry of Law believes that ‘this type of de facto shareholder veto is not uncommon’ and that shareholders are in any event unlikely to possess a veto because they cannot receive any property if an impaired class of creditors objects to the compromise or arrangement.10 Of course, the threat of an effective veto may allow shareholders to extract a recovery on a ‘consensual’ basis notwithstanding the absolute priority rule. While the Proposed Pre-Insolvency Directive requires that classes of creditors and equity holders be subject to a cross-class cram-down mechanism (provided that the restricting plan complies with the absolute priority rule),11 even if the Directive becomes effective in its current form, it may not fully implement the absolute priority rule in all instances. While the Directive incorporates some elements of US Chapter 11, it does not provide the debtor’s creditors with the opportunity to solicit votes on a competing restructuring plan and valuation estimate. This omission may be inherent in the ‘pre-insolvency’ nature of the Directive, but it sacrifices the discipline imposed on a Chapter 11 debtor by the ability of creditors to propose their own reorganisation plan after the debtor’s exclusive right to file a plan expires. 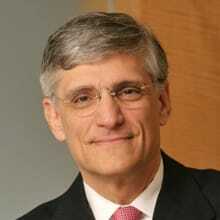 Whether a restructuring plan complies with the absolute priority rule depends on, among other things, the valuation of the enterprise at the time it is restructured, and the absence of the opportunity to propose an alternative creditor plan could undermine the ability of creditors to challenge a debtor’s self-serving valuation estimate. I once again want to thank each of the contributors to this book for their efforts to make The Insolvency Review a valuable resource. As I have noted in prior editions, this book is a significant undertaking because of the current coverage of developments we seek to provide. As always, my hope is that this year’s volume will help all of us, authors and readers alike, reflect on the larger picture, keeping our eye on likely, as well as necessary, developments, both on the near and distant horizons. 1 See Companies (Amendment) Bill 2017 (Bill No. /2017), available at https://www.mlaw.gov.sg/content/dam/minlaw/corp/News/CAB.pdf. 2 See, e.g., Report of the Committee to Strengthen Singapore as an International Centre for Debt Restructuring (Apr. 20, 2016), available at https://www.mlaw.gov.sg/content/dam/minlaw/corp/News/Final%20DR%20Report.pdf. 4 Proposal for a Directive of the European Parliament and the Counsel on preventive restructuring frameworks, second chance and measures to increase the efficiency of restructuring, insolvency and discharge procedures and amending Directive 2012/30/EU (Nov. 22, 2016) (the Proposed Pre-Insolvency Directive), available at http://ec.europa.eu/information_society/newsroom/image/document/2016-48/proposal_40046.pdf. 6 The Proposed Pre-Insolvency Directive also includes, among other things, provisions relating to discharge of debts for over-indebted entrepreneurs (Title III) and measures to increase the efficiency of restructuring, insolvency and discharge procedures (Title IV). 7 Guidelines for Communication and Cooperation between Courts in Cross-Border Insolvency Matters, available at www.nysb.uscourts.gov/sites/default/files/Chapter15propguidelines.pdf. 9 See Ministry’s Response to Feedback from Public Consultation on the Draft Companies (Amendment) Bill 2017 to Strengthen Singapore as an International Centre for Debt Restructuring, available at https://www.mlaw.gov.sg/content/dam/minlaw/corp/News/Annex%20A%20-%20Goverment%20Response%20to%20Public%20Consult%20Feedback%20for%20Companies%20Act%20Amendments.pdf. 11 Proposed Pre-Insolvency Directive Articles 11, 12.